A pioneering full-frame mirrorless camera that sets new standards. A full-frame 30.3 Megapixel sensor with impressive detail, ISO performance and Dual Pixel CMOS AF. Alongside the new RF lenses, Canon EOS R offers the ultimate shooting experience to take your storytelling further. Canon EOS R sets the standard for the smaller, lighter full-frame camera of tomorrow. Inside its customisable magnesium alloy body are new levels of EOS performance. The Canon EOS R boasts a full-frame 30.3 Megapixel Dual Pixel CMOS AF sensor which focuses without compromise thanks to its advanced phase detection system, DIGIC 8 processing and in-camera Digital Lens Optimizer. For photographers and filmmakers who already own a range of EF and EF-S lenses, the Canon EOS R offers full compatibility via an adapter with no loss of performance or quality. Canon’s Speedlite flash range offers flexible and creative lighting possibilities while EOS accessories open the door to greater creativity. Canon EOS R has the same comfortable handgrip found on EOS DSLRs and coupled with a high degree of customisation. 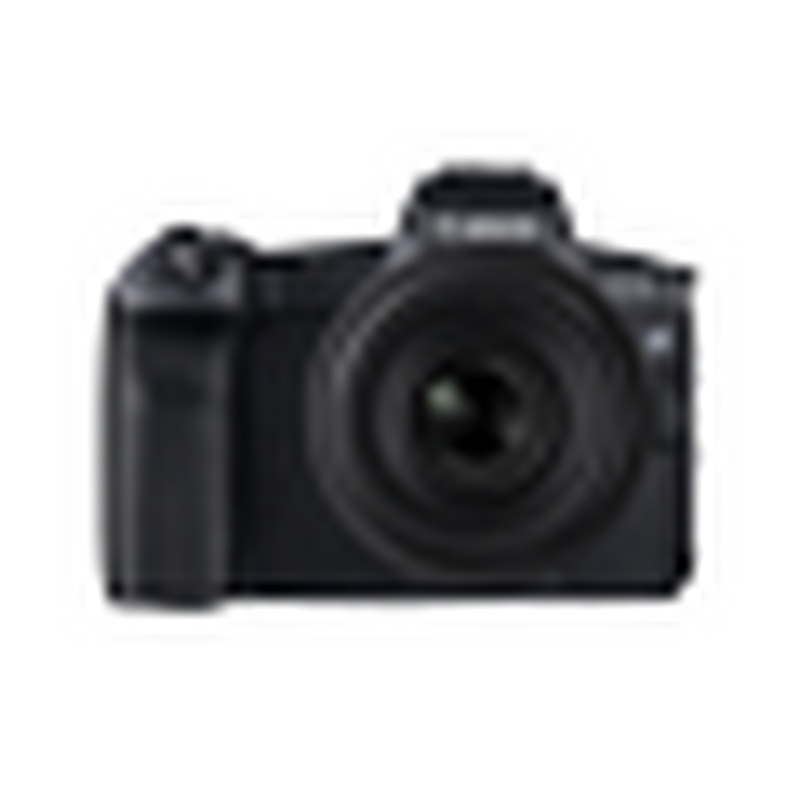 Innovations such as a multi-function touch bar, a high resolution electronic viewfinder and Vari-angle screen, makes it a camera designed to perform effortlessly and intuitively. The Canon EOS R has been designed for photographers and filmmakers on the move. Always-on low energy Bluetooth allows a smartphone to be paired and built-in Wi-Fi allows instant share to cloud services. For additional creative capture, remote shooting and tethering offers even greater freedom. Filmmakers will love Canon EOS R just as much as stills photographers. Thanks to advanced levels of control, it’s a highly accomplished filmmaking tool. Experience the power of full-frame in a small, lightweight EOS R series camera with the Canon EOS RP. The Canon EOS R comes ready to use right from the moment you switch it on. Connect your Canon EOS R to the world of RF lenses and accessories and go further than you’ve ever been before.